The Tulip Grande is the sister bathtub to Aquatica’s the Tulip™ (Purescape 701M) bathtub, only in a bigger and more spacious version. This beautiful bathtub simply exudes pleasure. Taking its inspiration from the sensuous form of nature with its evocative, gently curved tulip shaped sides, the wonderful Tulip Grande Black-White freestanding bathtub will take pride of place in any style of bathroom. 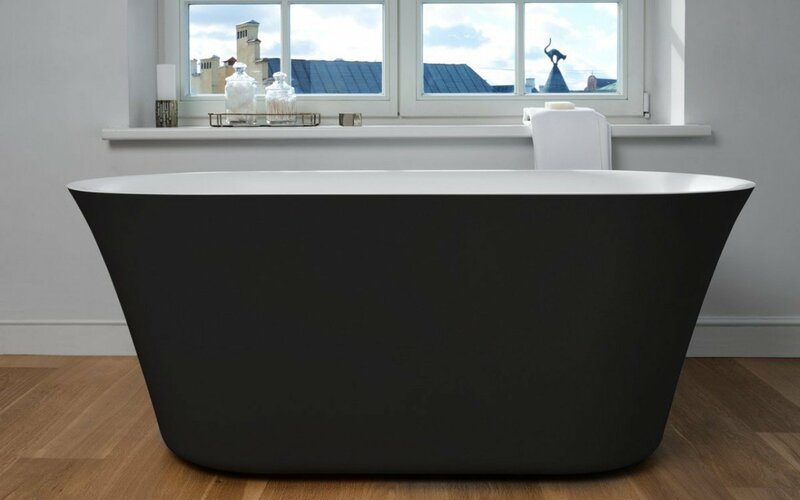 A very generously sized, high-sided tub for deep, luxuriant full-body soaking, formed for utmost comfort. Crafted from Aquatica’s patented composite AquateX™ stone for velvety smooth, warm texture, seamless comfort and superb heat retention. A class-leading 20-inch (500 mm) water depth and 71-inch (1800 mm) length of this freestanding bathtub allows even the tallest bathers to have a relaxing full body soak. Upsizing one of our already beautiful bathtubs has made the Tulip Grande score top marks on many fronts. The high, tulip-inspired sides and large scale 47.75” (121 cm) interior base make this an ideal bath for two, with each person enjoying the ultimate luxury of a deep soak, made even more enjoyable by sharing. The subtly flared walls provide comfort and support for the neck and shoulders. Styled for deep, immersive, one or two person bathing, this bathtub focuses on comfort and support for both of you. The lightly curved sides provide a relaxed seating position, whilst the flared rim supports the neck and head. 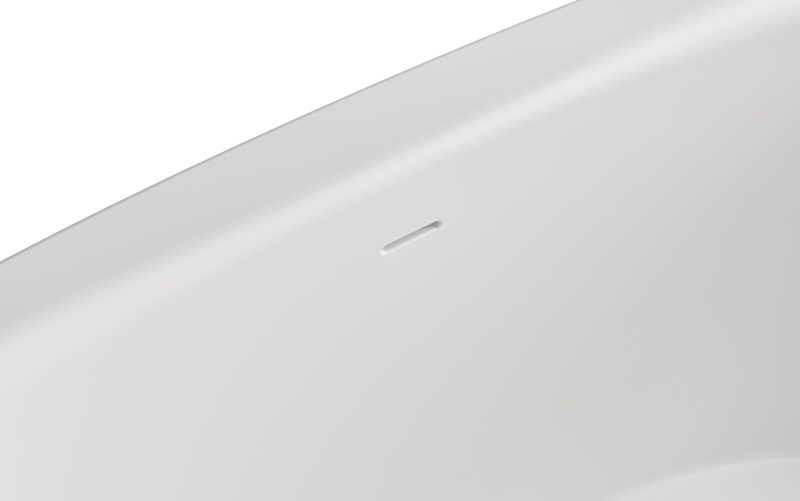 The overflow and drainplug – in matching AquateX™ – have also been centrally placed to accommodate two.